Throughout your pregnancy, it’s important to know that you have someone to rely on when you face questions and concerns. Dr. Stephen Weinstein is honored to support you every step of the way, providing prenatal care and guiding you through delivery. If you’re planning to get pregnant or you’re at any stage of pregnancy and need prenatal care, call his office in Walnut Creek, California, or use the convenient online booking feature to schedule an appointment. When should you schedule prenatal care? Your first prenatal visit is usually scheduled about eight weeks after your last menstrual period. Expect your first visit to be comprehensive, including a review of your medical history, a pelvic exam, and blood and urine tests. Ongoing prenatal care follows a regular schedule, with appointments once monthly until your third trimester. Ultrasound is usually done around 16-20 weeks, but it can be performed any time it’s needed. You’ll see Dr. Weinstein every two weeks from weeks 28 through 36, then weekly until delivery. 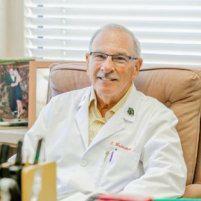 Dr. Weinstein delivers babies at the John Muir Medical Center in Walnut Creek. What routine tests are performed during pregnancy? These are all normal, but don’t hesitate to call Dr. Weinstein about discomforts you may experience, especially if they become severe. First-trimester screening is routinely done around weeks 10-14 of your pregnancy. This screening includes blood tests and an ultrasound to determine whether your baby is at risk for birth defects such as Down syndrome or a neural tube defect. Genetic screening only tells you whether a risk exists. If screening reveals a concern or you have a family history of a genetic disease, you may decide to get genetic testing to learn whether your baby actually has a genetic disorder. Making a choice about genetic testing is always a personal and challenging decision. You can count on Dr. Weinstein’s expertise in genetic counseling to guide your decision. Dr. Weinstein is privileged to provide the best quality care during your pregnancy and delivery — call or schedule an appointment online for your prenatal visit.